Learn Traction and Earn 3 FREE Months of Tracking202! Tutorial: Is Your Current Server Setup Costing You Big Time? Why Do Ugly Ads Work So Well? Tracking exact costs correctly is an important part of running and managing your campaigns because this data is tied directly to your profitability or lack of it. Our main method of allow you to update your cost data has been via the update tab, where you could pick a date range and retroactively change the average CPC. In Prosper202 Pro we have made a few key changes to make it easier to track your costs and keep them as close to your actual costs as possible. When working with networks that allow you to pass the exact CPC of a click into your tracking link, Prosper202 Pro can use the t202b= variable to pass in the exact costs. We've made it so that you can turn this feature on and off as needed, so you won't get unexpected modifications of your cost data from 3rd parties. Another way of using this new feature is for situations where you have one campaign but different bids based on the device type or geo. So for example, you may pay $0.50 for desktop clicks and $0.10 for mobile clicks. With the t202b variable, you can now setup the different bid amounts directly on the tracking link without having to create multiple tracking links for each device or geo. For as long as Prosper202 has existed, one of the perhaps strange functionality was the fact that after creating a tracking link, it was gone forever. If you ever need to change something about the link, you'd simply make a new one. The obvious downside of this is that your ads would have to go through approval again if you put in a new tracking link. 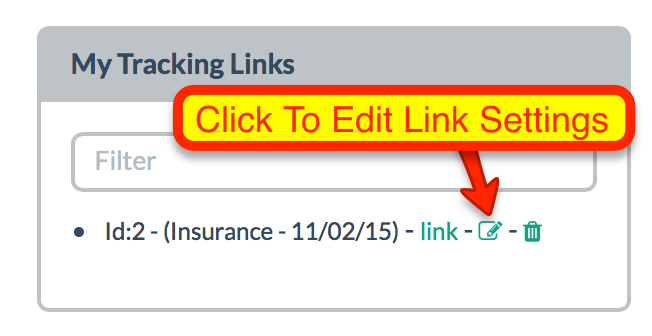 In Prosper202 Pro, you now have access to all your previous tracking links which means you can also edit anything about the link. This is really handy for changing the pre-enter CPC or CPA of the link without having to resubmit your ads. As your bids increase or drop, you can just reflect those changes in Prosper202 Pro so that your cost data is in sync. "Run Prosper202 Direct with our hand picked hosting partners." "Host Prosper202 with an official Prosper202 Host. Do not settle for less"
Shared hosting is cheap but slow. Research from Amazon shows that every second of latency, can cost you up to 10% in profits. Prosper202 Certified Hosting partner's virtual private servers and dedicated servers are some of the fastest servers in the industry. Prosper202 Certified Hosting partners handle all of the installation, upgrades and code fixes, and even offers basic support, all free of charge. To wrap up, Prosper202 Certified Hosting partners should be theonly web hosts you choose to work manage your Prosper202 ClickServer. with and we have also negotiated a special discount rate for of you, Just click here to get your Prosper202 Optimized ClickServers now.